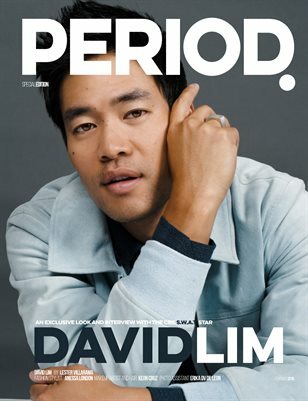 PERIOD Special Edition, Featuring CBS's SWAT Star: David Lim, Shot by Lester Villarama, styled by Anessa London with Hair and Mud by Keon Cruz. Assisted by Erika DV De Leon. Also Featuring work from: Eluvier Acosta Guevara, Yadin Yin, Barrington Orr, Jesus Villanueva Varela, Filip Koludrovic and Joseph Adivari.